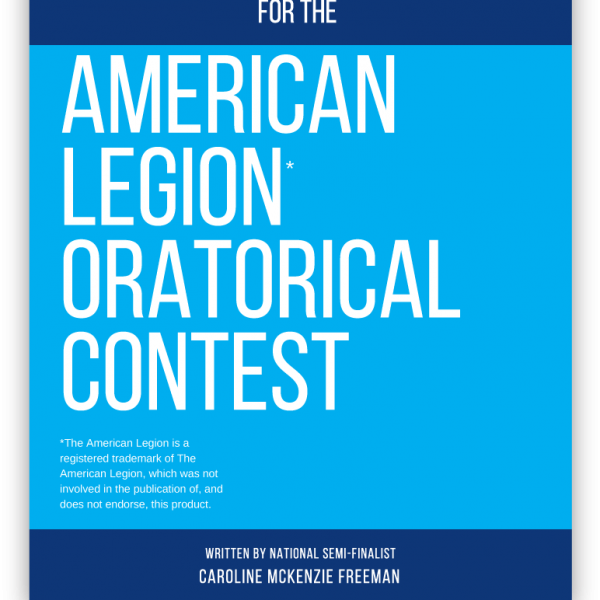 Are you struggling to prepare for the American Legion Oratorical Contest? How to Prepare for the American Legion Oratorical Contest is your solution! 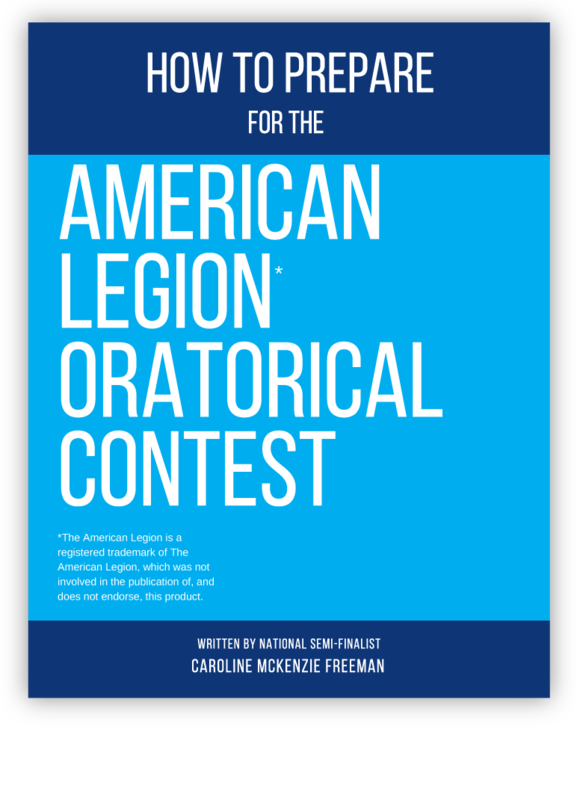 This preparation guide covers all aspects of preparing for the American Legion Oratorical Contest – from what to expect on Contest Days, to how to research, write, and present amazing speeches – all from the perspective of a 2012 National Semi-Finalist.